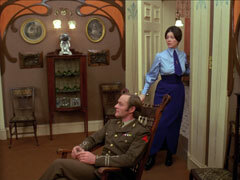 In an Art Nouveau drawing room, Rupert and Henry Lasindall (Julian Glover and James Cossins) discuss the new rage of ragtime - Henry finds it vulgar and decadent. Miss Faversham (Kathleen Byron) enters and breathlessly hands Rupert the paper - the Kaiser has ordered a new offensive on The Somme and Rupert is sure to be summoned to the Front. 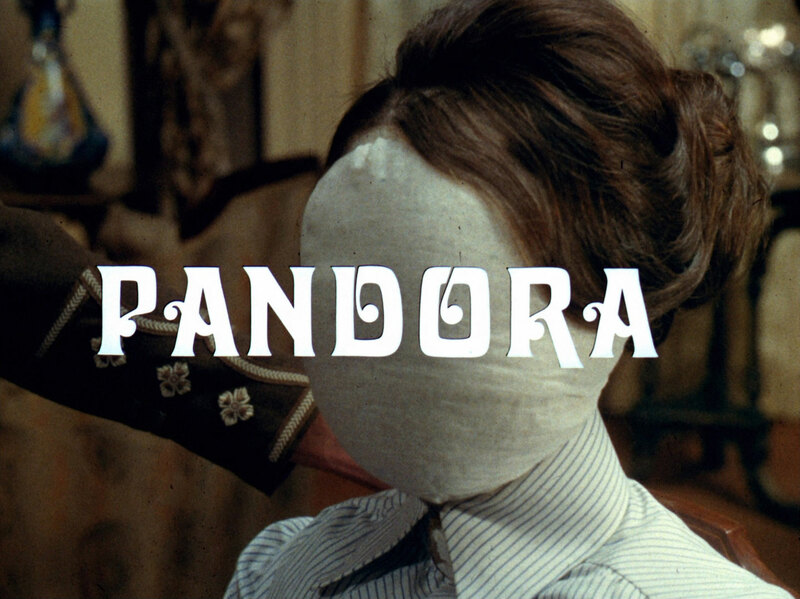 He turns and assures Pandora he won't miss her wedding, but Pandora is a stuffed dummy. Steed rings Tara and tells him he has a picnic hamper waiting to be shared but she has a hot lead - not on a case, but on a 17th Century French bracket clock. She goes to the shop of Xavier Smith but is chloroformed by Henry, and he and Rupert carry her away. Some time later, Steed comes looking for her but Xavier Smith (Reginald Barratt) tells him he hasn't had any such clock for months. 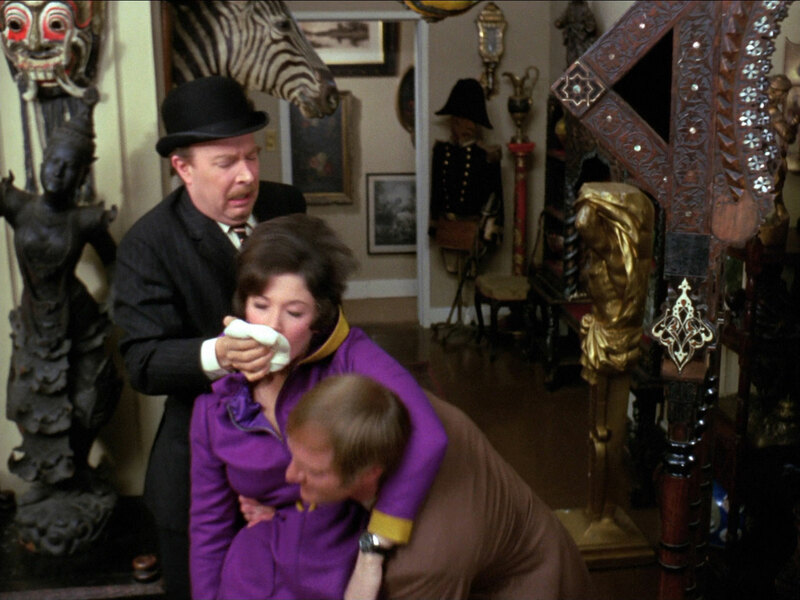 He has only just returned from lunch and notices a vase broken in Tara's struggle; Steed picks a piece of paper from the debris which reads "The Fierce Rabbit". He reports Tara's disappearance to Mother (Patrick Newell), who is irate at being removed from his hot air balloon HQ by Rhonda (Rhonda Parker). Mother pricks up his ears at mention of the Fierce Rabbit and asks is she were on a mission; that was the codename of an operative in Armentières in the First World War. Steed visits Carter (Geoffrey Whitehead), a junior official in the records department, who flounders about but manages to turn up the file - The Fierce Rabbit was Simon Henry Juniper. Meanwhile, Tara is roused by Miss Faversham, who calls her Pandora and she descends to the drawing room in a dazed state, dressed in Edwardian garb and hairstyle. When she enters, Rupert calls her Pandora and hands her a glass of sherry - she protests her name is Tara King then swoons as she takes a sip. Henry is concerned their rushing thing but his brother reminds him it was he who found Tara's photograph and sowed the seed of the plan. there is a thumping on the floor above their heads. Steed visits Juniper (John Laurie), now a clock repairer, who is bitter about being dismissed from the service. There's a flicker of recognition when he's shown Tara's photograph, which he puts down to "not having young fellers like that in his day". He sneers that all their modern methods can't locate Tara and tells him he could find her - he then reveals he wasn't the only agent to use the codename "The Fierce Rabbit", there were two before him. Tara wakes when Miss Faversham brings her a breakfast tray. She protests she's not Pandora when Miss Faversham tells her they're only trying to make her well again. She glances at the morning paper and sees it's from 1915 then hears whistling outside the house and tries the windows, but they won't open - she grabs a dressing gown and descends the stairs in time to collect the post which has just arrived. To her dismay, the first envelope is postmarked London, 2.30PM Nov 17 1915. Steed rings Carter but he confesses his ineptitude, saying he'll have to wait until the controller returns to find the other two Fierce Rabbits. After Tara has returned to bed, Juniper arrives and demands to see the elder Mr Lasindall, announcing himself as The Fierce Rabbit and saying it concerns Pandora. 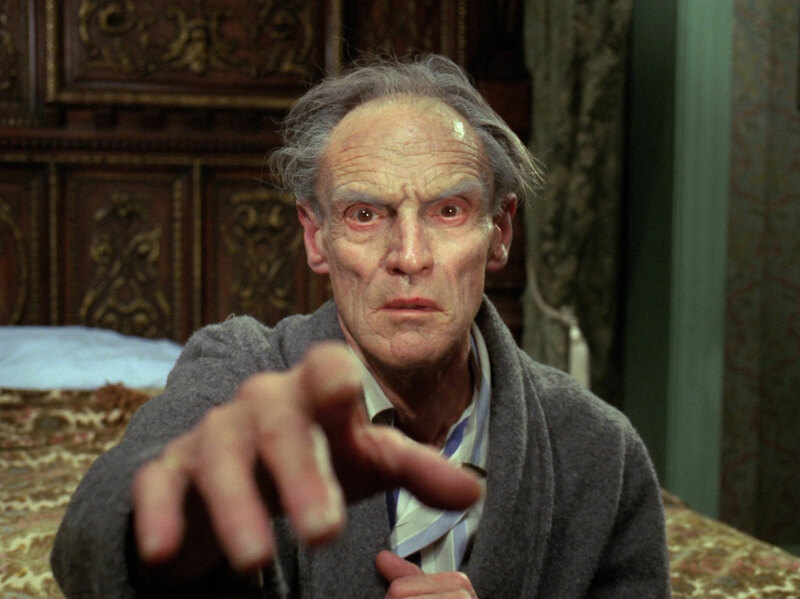 Rupert is edgy but agrees to show him up to see Uncle Gregory. Tara is awakened by Juniper's scream and emerges onto the landing, where Juniper staggers against her. She recoils in shock and a hoarse voice calls, "Pandora" from the shadows. Rupert quickly covers her with a blanket and whisks her away - it's not yet time. Miss Faversham mixes a sedative for Tara and makes her drink it. Carter's boss returns to the office and gives him the details, which Carter relates - the second is Hubert Prestige, but Steed is told the third Fierce Rabbit died five years ago and his file was destroyed. Carter hangs up and we see the controller - it's Henry! Henry returns home and argues with Rupert, saying they must stop. Rupert concedes they hadn't anticipated Juniper or Steed but they must continue - they're doing it for Gregory and mustn't forget what's at stake. 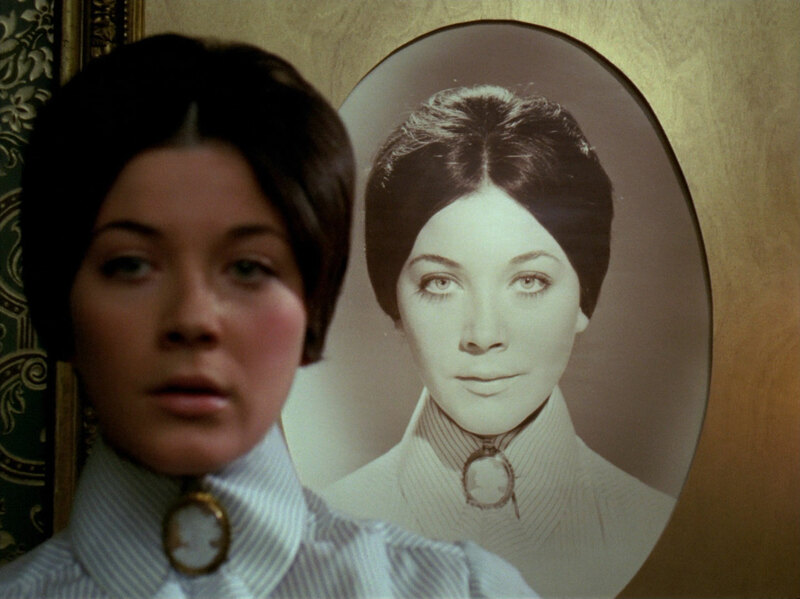 He promises Steed will find Tara - far from the house and dead of course. Hubert Prestige (Anthony Roye) visits Steed and starts to reminisce about his time in the service while Tara is overhearing another argument - which quickly changes to a discussion on the merits of the war when they see her coming. Rupert tells her Henry is opposed to the conflict and asks her opinion. Henry scoffs, saying she's just a woman and is aghast when Rupert suggests women may one day have the vote or even be in government. Tara puts her hands to her ears and begs them to stop, saying she's Tara King. Henry fetches a glass of water - which he dissolves a powder in - while Rupert comforts her, and she swoons after drinking it. Prestige meanwhile has finished off Steed's whisky and can barely slur that he doesn't know Tara's name. When she reawakes, the chair is empty, leaving her more confused than ever. 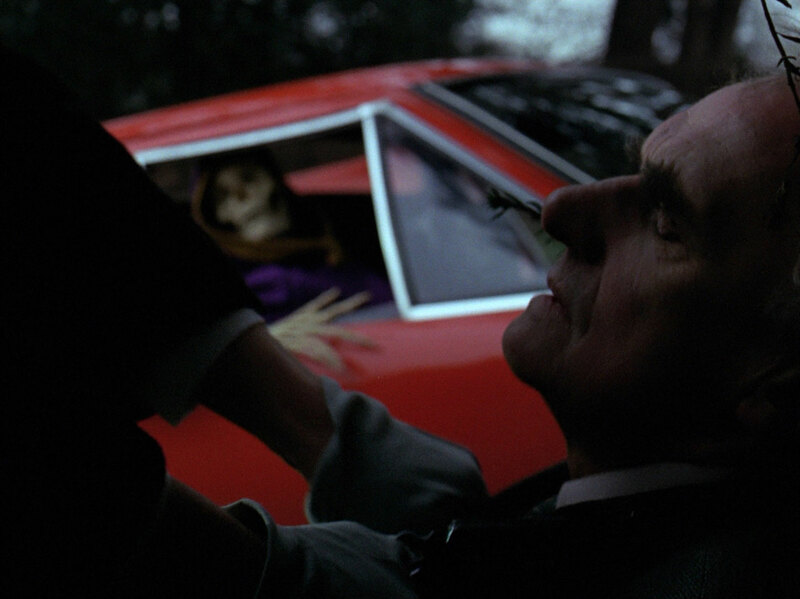 Henry sets a tableau with the skeleton in her car, Juniper dead nearby having a revolver placed in his hand and the Lotus set alight. Rupert meanwhile convinces Tara to take more drugs and reinforces her new identity. He tells Miss Faversham when Henry returns they'll play out their scene as rehearsed. Ragtime fills the air, and the conversation is repeated, Miss Faversham bringing in the paper - but this time Tara is Pandora. 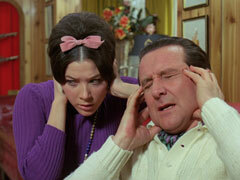 Steed meanwhile has a visit from Mother - Juniper and the car have been found, and Tara is believed dead. Prestige arrives to apologise for his behaviour the previous night and tells Steed all three Fierce Rabbits are very much alive. Mother refutes this, saying he's never known Lasindall to be wrong and Prestige blusters, "But that's him! the name of the other rabbit - Gregory Lasindall". Steed smells a rat and visits Carter with Prestige; Carter confirms Lasindall's country residence, and tells them Tara had been in a week ago and had a long chat with Henry about antiques - he put her onto a source for a French bracket clock. Rupert carried a drugged glass of champagne up to Tara, dressed in and Edwardian bridal gown. He shows her a photograph of Gregory when she becomes hazy about who she is to marry, then escorts her out to the landing. they arrive at Gregory's cobweb-strewn rooms and Henry say as it never work - Rupert snarls she's the living image of Pandora, and leads her into the light. Tara greets Gregory, a younger image of whom (Raymond Burke) dances before her drugged eyes. Reality intrudes as the real Gregory (Peter Madden) grazes her cheek with his withered hand. Tara moans she's not Pandora and Rupert thrusts her aside. He tells Gregory Pandora has returned and he must reveal the location of her dowry, the vast fortune he's hidden away. Gregory smiles malevolently and says it's in the house. Rupert cajoles him into saying "behind the portrait" - Henry fetches a knife and Rupert slits the back off. He becomes irate when he finds nothing and starts slashing at the portrait. Gregory drops to his knees and says, "there it is, a Rembrandt", revealing the painting underneath the photo, now ruined. Gregory slumps to the floor as the brothers fight. They continue their struggle out to the landing where it's interrupted by Steed hurling Miss Faversham backwards up the stairs. Steed then deals with Henry but knocks Rupert over the bannister onto the hard tiles below. Tara gives Steed a present of an Edwardian clock in thanks for her rescue but it's given him a headache - the chimes are as loud as Big Ben.